Natural And Refined Sugars What Are The Differences? Sugar, in its many varied forms, is simply a carbohydrate that your body converts into glucose to use as energy. Naturally occurring sugars derived from sugar cane, beets, fruits, vegetables and honey come in the form of sucrose, dextrose, fructose and glucose. Lactose sugar is found in dairy products. Natural sugars are simply sugars that are found naturally without processing! Refined or milled sugars comes from sugar cane or sugar beet, which is still a naturally grown plant, but the sugars are extracted from the stalks of the sugar cane or the centre of the beets to form sucrose, which is a combination of dextrose, fructose and glucose. Sugar cane is crushed at a sugar mill and the extracted juice is boiled, evaporated and spun under centrifuge to separate the crystal from the adhering film of molasses which is rich in colour, minerals and vitamins. This milled raw cane sugar is spun several times to extract more molasses creating lighter crystalline raw sugars. The lightest of these sugars is then exported to white sugar refineries to be melted and re-spun and filtered to produce white refined sugar. Sugar beet is sliced and diffused, evaporated and spun under centrifuge to separate the crystal from the adhering film of molasses which is rich in colour, minerals and vitamins. The remaining crystal is pale in colour and filtered to produce white refined sugar. Both milled and refined sugars are 50% fructose and 50% glucose, also known as dextrose, and they are chemically the same. These raw cane sugars, molasses and refined white sugars are used to create various types of sugar syrups that can be up to 40% sweeter than standard table sugar, enabling an actual reduction in the amount of table sugar needed to sweeten various types of products created by food, drink and pharmaceutical manufacturers. All these different types of sugars also perform additional functions naturally, such as colour & flavour development, bulking, texturising and humectant control, which extends the shelf life of many of our favourite products, all without the need of artificial additives. Ragus are a leading supplier in the production of brown sugars, syrups and treacles for major food, drink and pharmaceutical companies. Our customised sugar formulations are developed from ethically sourced raw materials and are expertly transformed into high quality functional ingredients used by major food and drink suppliers worldwide. 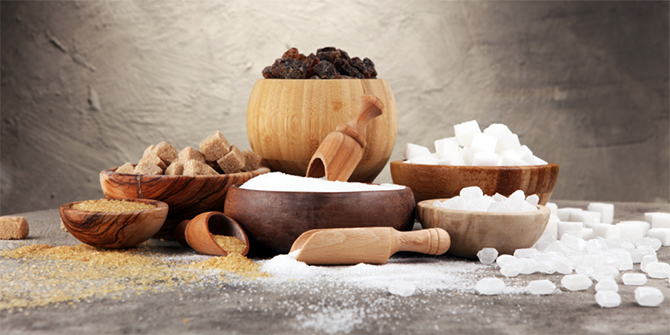 Ragus provide our clients with pure sugars for taste, texture and appearance for their consumer products.